Although London house prices will rise by just 1.5 percent this year, by 2019 they will have risen above 2017 figures, a report from Countrywide shows. 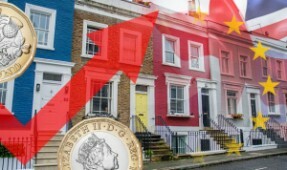 The lack of supply coupled with recovered UK and global growth will prompt a housing recovery. Meanwhile, prices in the rest of the UK continue to grow. 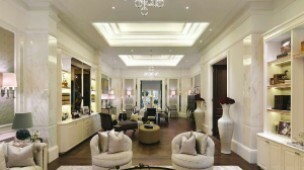 Want to rent the creme de la creme of London property but simply don&apos;t have time? Or would you rather relax on your superyacht instead of doing the hard yards of searching endless properties? Ask your agent to give you a WhatsApp or FaceTime tour of London&apos;s finest property: welcome to the latest trend among wealthy renters seeking luxury London property. The UK economy is starting to pick up the pace and return to growth, new figures show. We can expect 1.7 percent growth this year, followed by 2 percent by 2019, analysts say. This is due to increased global demand for exports as the world’s fortunes improve. Despite dire predictions, property investors are also buying up large in London and elsewhere around the UK. 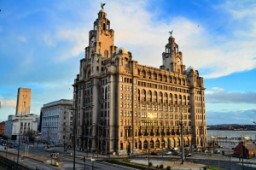 It’s one of Liverpool’s most iconic landmarks, so the news that Everton shareholder Farhad Moshiri is behind the Liver Building’s multi-million pound purchase has set tongues wagging. The news is set to precipitate a wave of foreign investment in a city that’s already going from strength to strength. Worried about price growth stalling? We examine the facts. Official figures show price growth has slowed - but this shouldn’t deter potential buyers. While a number of buyers have been deterred by low wages, Brexit, and higher deposits, undersupply means demand will never completely wane and experts predict prices to rise by 13 percent over the next four years. 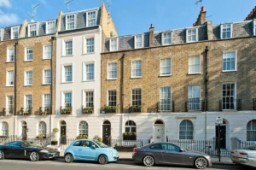 Prices are rising and the number of buyers and sellers is also on the increase, allaying fears of a UK property slowdown. Sales were up by almost 5 percent over June 2016. Market wobbles are being balanced out by low interest rates, low unemployment and high demand. 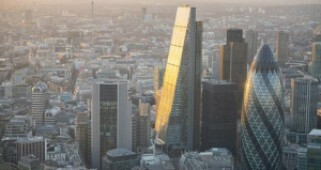 London now ranks joint third with Hong Kong in the list of best business cities. It&apos;s just one reason why property in the capital continues to attract foreign investors from all over the planet. 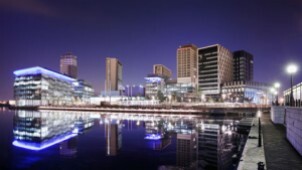 Asian and American investors, attracted by the low pound, are buying more property than ever before in the UK&apos;s largest city. 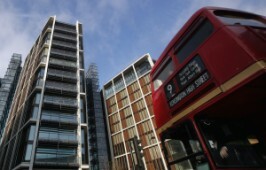 Indian property developers the Lodha Group says business in London is good, and that London and the wider UK&apos;s economic resilience means excellent prospects for foreign and local investors. However, European buyers are staying away - the number of Europeans buying property in London dropped from 28% of the total to 8%, due to political uncertainty. A report from international real estate company Knight Frank shows prices are set to rise by just 1% this year across the UK - and are actually falling in London. However, next year they&apos;ll pick up again, the report claims, and the UK can expect rises of 14% by 2022 as economic and supply factors are addressed. Is confidence returning to the UK property market? 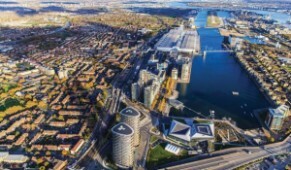 Despite analysts&apos; predictions, the UK&apos;s second largest property company reported a lower drop in net asset value per share than expected, prompting a statement from their chief executive claiming the outlook is just fine. Chris Grigg says despite the financial turmoil caused by Brexit, buyers are "getting on with it." 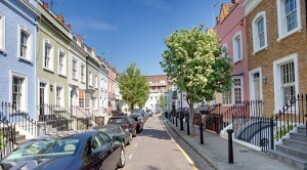 Insiders are hopeful about post-Brexit property with the news that property in the UK reached an all time high of £313,655 in April, a 1.1% rise since March. Transaction numbers are also rising, with numbers higher than they&apos;ve been since before the financial crisis. First time buyers are helping to push prices up in this sector. The general election might negatively impact prices, but analysts hope current strong prices will help balance this out. 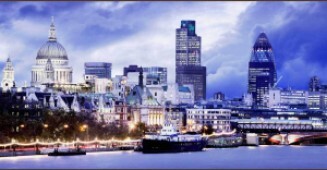 London property price growth has slowed, with a year-on-year increase of just 3.7 percent growth. And it's a local phenomenon, with wider UK experiencing growth of 6.3 percent last year. Investors and lifestyle buyers are wondering what this means: is it a temporary blip which will ease following Brexit, or is this an overall trend which will allow greater possibilities for home ownership in the future?